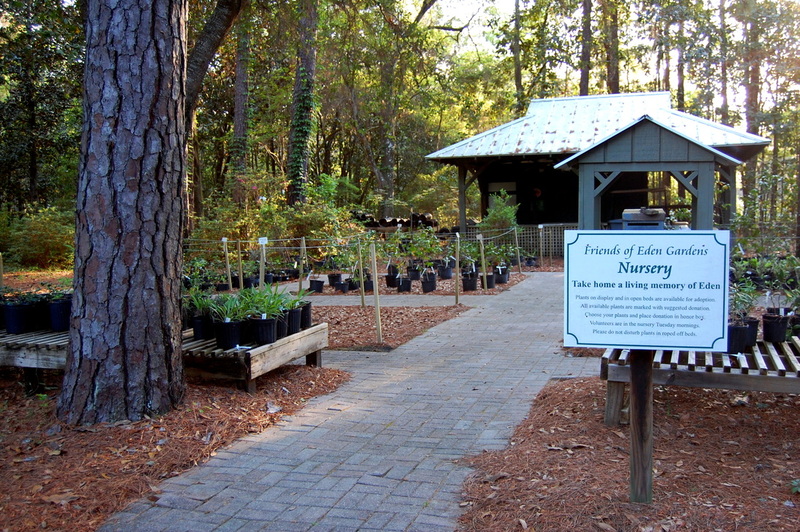 The Friends of Eden Gardens State Park was founded as a volunteer organization to assist the state park staff to repair, maintain and enhance the park. 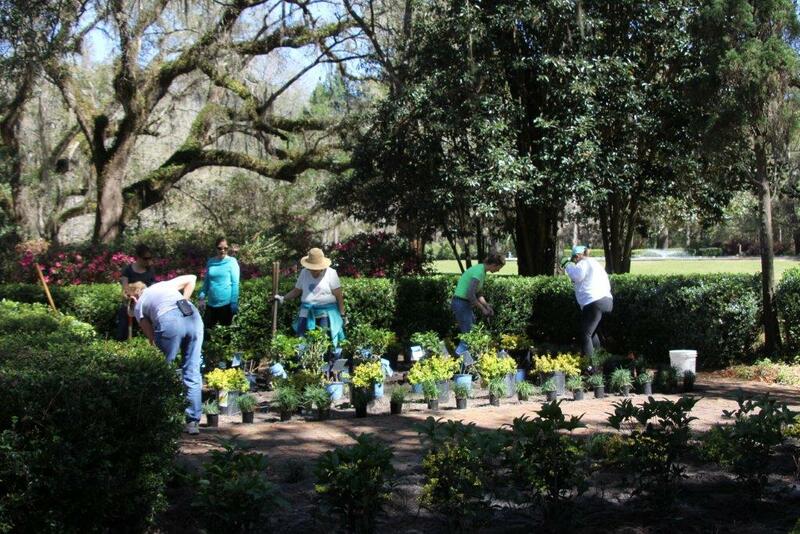 Eden Gardens State Park has a historic home, extensive gardens and grounds, a picnic area on Tucker Bayou and an event pavilion, all of which require considerable “elbow grease” to keep in show condition. The Friends have contributed tens of thousands of lovingly given labor hours to Eden Gardens. Also we have raised the funds needed for maintenance and improvements throughout the park. On Tuesdays, our volunteers can be found working on the grounds pulling weeds, grafting camellias, and potting up plants that have multiplied in the gardens. The Nursery is one way we raise funds for the Park. We frequently have Camellias, Ferns, and Lillies for sale. The Fig Leaf Gift Shop inside the Wesley House raises money as well. You can purchase locally crafted bird houses, various souvenir items, books and seeds. We also host fundraising events such as the Camellia Festival in February, the Film Series in October, and the Christmas Candlelight Open House in December. Upgrade and improve the irrigation and lighting throughout the park. Organize community events that will increase attendance, membership, and awareness of our little gem that is Eden. Provide financial support towards the preservation and repair of the historic Wesley House. The mission the The Friends of Eden Gardens State Park is to maintain and preserve the grounds and house of the park for the enjoyment of all area residents and visitors. Eden Gardens State Park and all of its physical assets are historically significant, having played an important role in the commercial and residential development of the Florida panhandle, thus it is imperative that they be protected and maintained in a manner which is conducive to perpetual benefit for all.